I’m linking up with some fellow bloggers tomorrow to share a few of my favorite reads of all-time! I have been an avid reader since I was, well, old enough to read. :o) When I was little my nose was always in a book… I read in the car, in restaurants, at home, at school after my work was done. All. The. Time. Book Fair Day at school was always one of my favorite days of the whole year… I always loved browsing the colorful covers and flipping through the pages and deciding which ones to bring home and make mine. To this day, I still love books just as much as I used to, but life has gotten busier the older I have gotten, and I often find myself choosing sleep over my beloved reading time. I still read about 6-8 books per year, but the bulk of them are read during the summer months when school is out, the homework is non-existent, the sports are on hiatus, and we have the luxury of slowing down for a bit. If there was just one book that I could read over and over again for the rest of my life, I would probably choose Something Borrowed by Emily Giffin. This book definitely falls into the Chick Lit category, but Emily Giffin is a fantastic writer, so it’s more well written than some of the other mindless Chick Lit books out there. Her writing is thoughtful and deep and, man, does she know how to develop a character!! I’ve probably read this book ten times and I still always find myself reaching for it first if there’s nothing else to read. 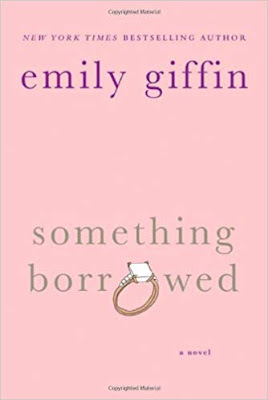 Emily Giffin is probably my very favorite author if I had to choose one… I own every single book she’s ever written, and you cannot go wrong with any of them! She’s one of the few authors who I seek out and often pre-order books from, and I pretty much devour anything she produces within days of it making its debut. Nicholas Sparks is my second favorite author of all time and I own nearly every single book he’s ever written as well… and he has quite the selection. 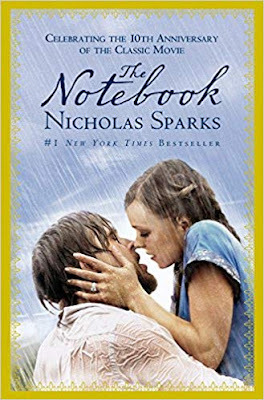 The Notebook is probably his most popular due to the fact that they turned it into a movie, but as always, the book was worlds better than the movie… and I loved it long before the movie came out. Most of the books that are on my list are older and are ones that I’ve read over and over again, but this book is one of my most recent reads (last summer) and it quickly made its way into my top ten. 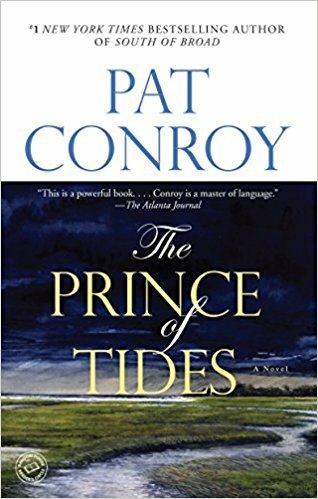 I loved this book and I didn’t want it to end! I’m still hoping for a sequel. I’ve loved this book since I was a teenager. I read it for the first time right after it was released in 1997 and I’ve read it countless times since. This one is a bit heavier, but it is also laugh-out-loud funny, and if you haven’t ever read it, you should. I’m not generally a huge James Patterson fan, but this book was very different than his typical mysteries and thrillers. This was another heavy book, but it was a page turner. It will tug at your heart strings and I assure you, you will cry, so keep some tissues handy. 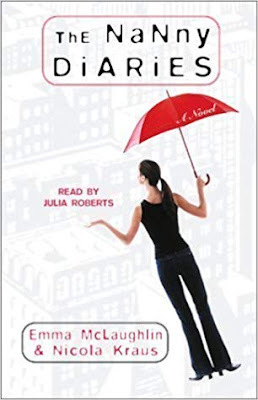 This is one of my favorite books from my early twenties, and I’ve read it over and over. I used to baby-sit a ton when I was younger, so I could relate to much of this book. Another one of my faves from my early twenties, this is a Chick Lit classic. This one is another that I can read over and over again. I love books that are set in New York City, and I thought this one was particularly interesting because it offers a peek inside the fashion world. I’ve always been enamored with fashion and big city life, so this one was right up my alley. 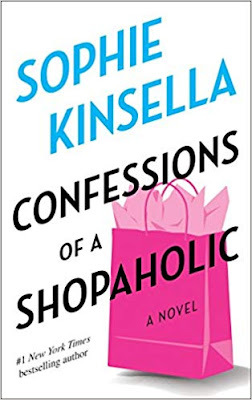 Sophie Kinsella’s characters and writing style are a bit quirky, but she always makes me fall in love with her books as well as her characters. I always find myself equal parts exasperated with and equal parts wanting to be her character’s best friend. Haha. If you’ve read the Shopaholic series then you know what I mean. I first read this book in high school for an English paper, and it was heavy like WHOA. It is graphic and very tough to read at times, but it will make you think and feel very deeply. It was riveting and I couldn’t put it down… it’s like a wreck that you see on the side of the road and you just can’t look away. This is another one that I’ve read over and over because the writing and character development and storyline and everything is just impeccable. It’s an oldie, but a goody for sure. So there you have it, ten of my favorite books of all-time! That said, my reading wish list is miles long right now, so once I get some of those read, this list could look a little different. What’s the one book you couldn’t live without? If you have any recommendations for me I would love to hear them so I can add them to my list! *Linking up with Mix & Match Mama for Let's Look. I use to read James Patterson ALL THE TIME. 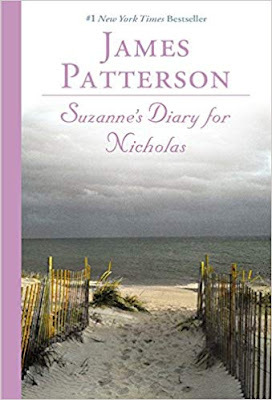 I need to read Suzanne’s Diary for Nicholas. Guilty as charged too. I Love the Twilight series. Ohhh that James Patterson book is a tear jerker! And I am still a fan of the Twilight books, too! I was a broke college student but yet would buy them as soon as they came out because I loved them so darn much! You've listed some really good ones!!! Nicholas Sparks gets me every time--love all of his books. And I read Something Blue first, so I actually like it better than Something Borrowed haha! but I love how she did both of those books! Yes, I agree "The Notebook" is a wayyyy better book than movie. I cried while watching it because it was nothing like the book. I was so mad. I've read a lot of his books. I've watched "Something Borrowed" but I'm sure the book has more content! Of all the young reads series, Twilight is definitely my favorite! I read the series twice. These are so many good ones, I’ve actually read all of these I would have to agree with you. I've read a lot of these. The Notebook was a long time favorite of mine. I just finished an Emily Giffin book here too! See I am a huge James Patterson fan because of his Alex Cross series and all his thrillers.I tend not to like his other stuff. I did read a ton of sophia kinsella when i was in London and got into British Chick Lit authors. You have some great recommendations and so many that I have loved forever. 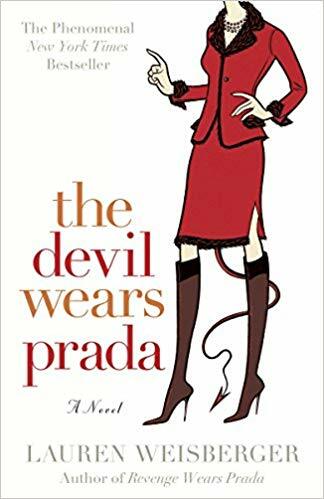 Also, I have never read The Devil Wears Prada...I didn't even know it was a book until this winter but it is on my Kindle and it is one that I want to read very soon! I loved one, two, seven and eight. We have a lot of love for the same books! 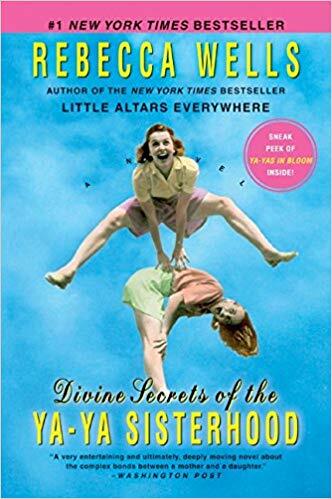 I forgot how much I loved Divine Secrets of the yaya sisterhood! I need to read that again! I LOVE Suzanne's Diary for Nickolas! You have quite a few of my all time favorite books/authors on your list. I too have always been an avid reader except even as a mom I never stopped reading. I can remember reading chapters books while breast-feeding even! I love light hearted fictional books and a lot of chick lit too. Wasn't that a great book?! And that's awesome that you continued to read even after kids. I do still read, but it just takes me way longer to get through a book so I find myself reading less. And yes, lighthearted stuff is definitely my favorite right now, too! 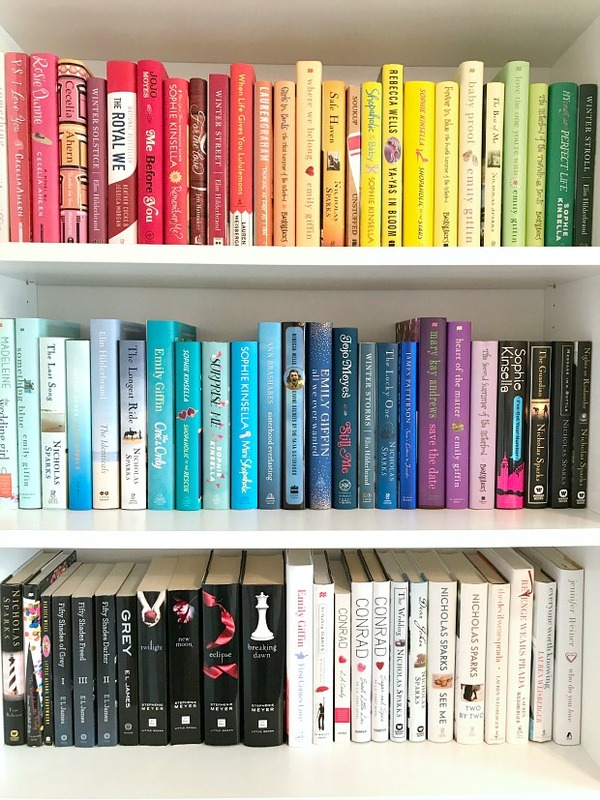 I just love your rainbow themed bookshelves. So fun! 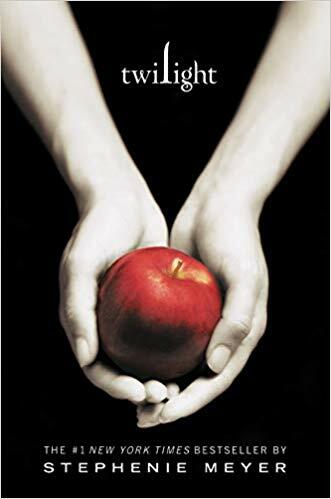 I loved the Twilight books! I really enjoyed Something Borrowed and Something Blue but I HATED Heart of the Matter with the fire of a thousand suns, so I haven't been able to pick up any of her books since then. 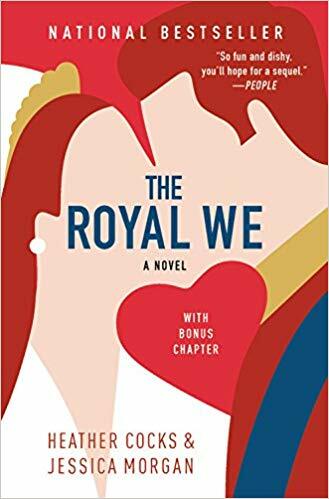 I really enjoyed The Royal We! Sometimes I thought it was a bit too drawn out, but overall it was a cute read :) Suzanne's Diary for Nicholas was the first book that ever made me actually lose my breath for a minute! I usually don't read James Patterson either but my Mom insisted and I'm so glad I read that one! Something Borrowed has forever been one of my favorites as well! These are all great choice!